Bring a large pot of water to a boil. 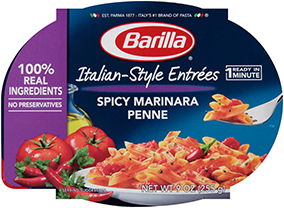 Cook pasta according to package directions; drain reserving ½ cup of the cooking water. Meanwhile, make the pesto. In a blender, combine garlic, cheese, pistachio and basil. Add olive oil, salt and pepper; pulse for 15 seconds. In a bowl, toss pasta with pesto, olives and tomatoes; slowly adding cooking water as needed to coat pasta. Serve and enjoy.